Peppa Pig, along with her family and friends have been part of our family life for around 10 years. With Roo discovering the quirky tunes, songs and comedic actions that they all get up to. 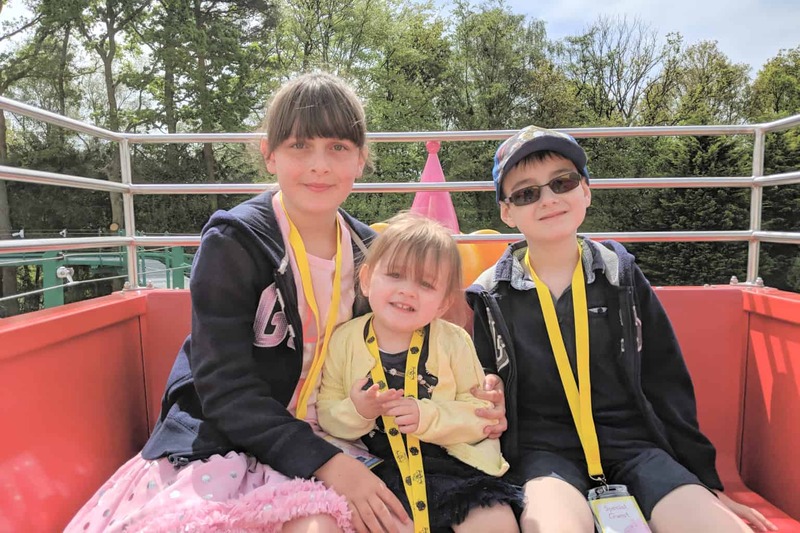 Over the years we have taken both Roo and Tigger to Peppa Pig World just north of Southampton. With each of them loving the rides, the atmosphere and all things Peppa Pig. 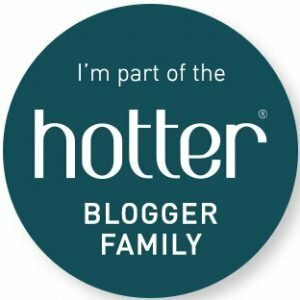 Up until now, we hadn’t taken Piglet, however, it was on our bucket list of places to visit this year. A special Royal Invitation to Peppa Pig World landed on our doormat a couple of weeks ago. Without telling the children until we were firmly on our way. I somehow managed to keep the trip a secret even though I was so excited to see their faces. 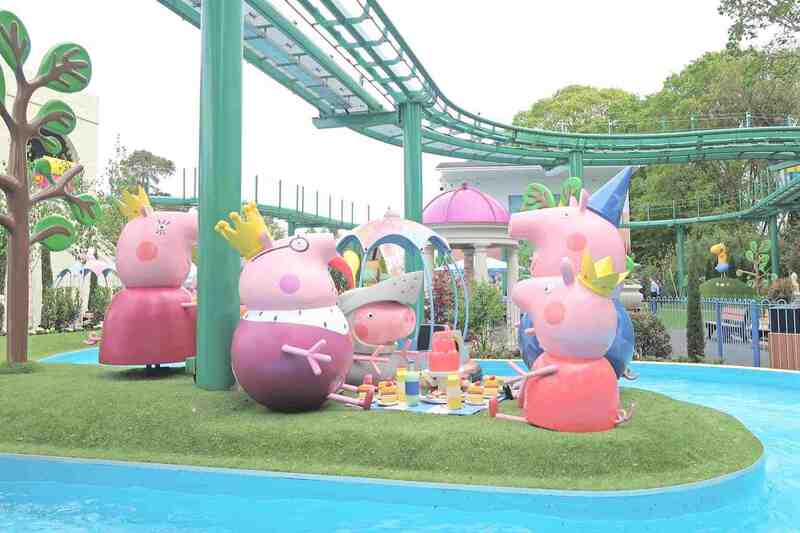 The reason behind the special invitation was for the grand opening of two new rides within Peppa Pig World. The Queen’s Flying Coach Ride and Grampy Rabbit’s Sailing Club. 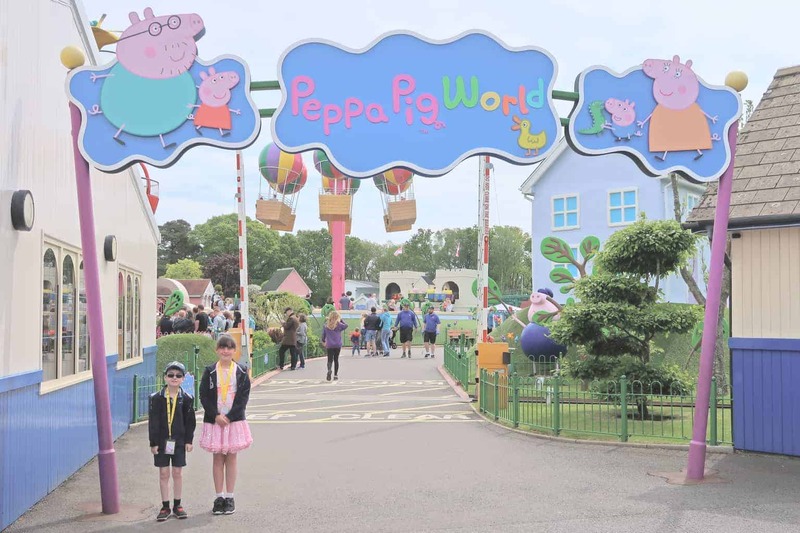 Paultons Park celebrated the opening of Peppa Pig World back in 2011, since then it has gone from strength to strength. Planning for the extension to the now 4-acre area within Paultons Park started back in 2014 (to give an idea of how much work is involved). 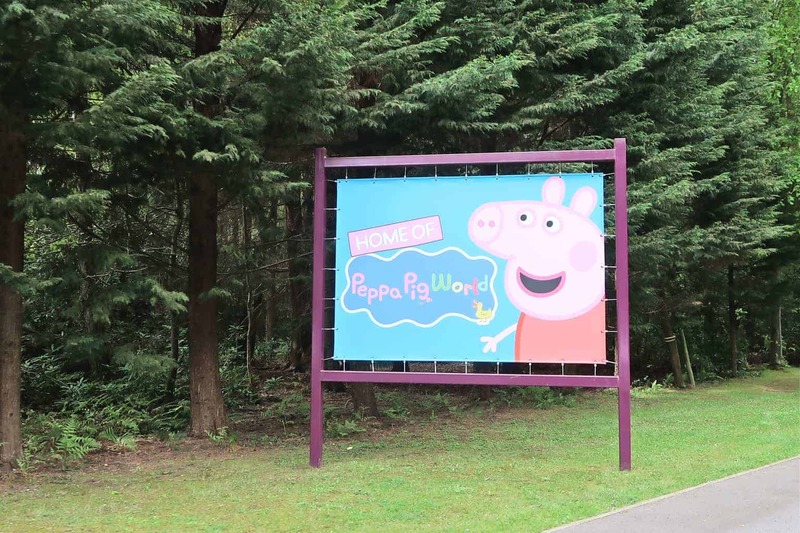 Construction finally started in February 2017 (with Mr Bull digging up the road) and finally the two new rides are available for Peppa Pig fans big and small to enjoy. 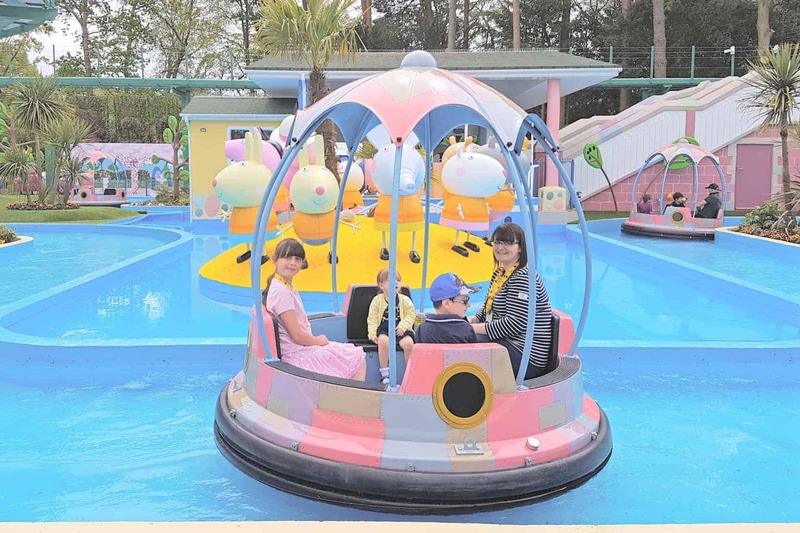 The Queen’s Flying Coach Ride takes you up above Peppa Pig World. 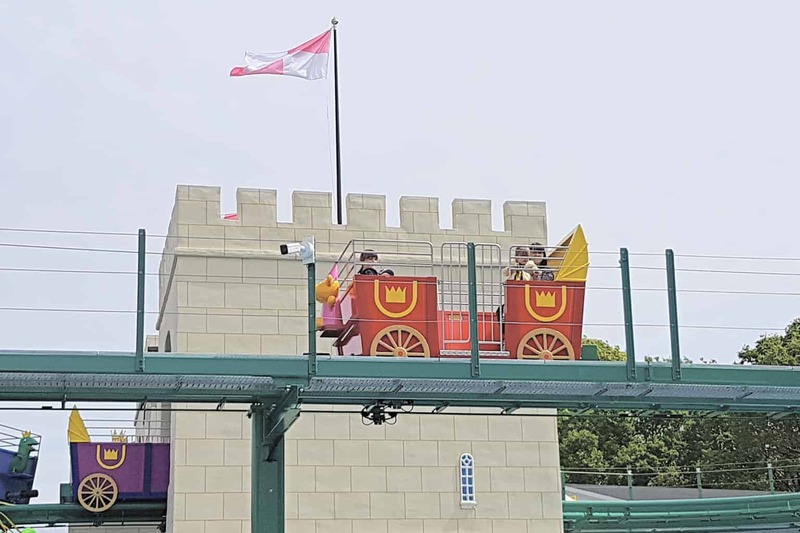 Climb the stairs of the Queen’s Castle, a focal point in the new area of Peppa Pig World. Before taking a seat inside one of the coaches for a special monorail tour. Relax as you get a bird’s-eye view of the park. Perfect for seeing which ride you want to enjoy next as well as practising your Royal wave to everyone below. Time for a boat ride? Hop aboard the boats available at Grampy Rabbit’s Sailing Club. Enjoy a gentle cruise along the waterways as you twist around so that everyone gets a great vantage point of the attraction. Wave hello to Peppa Pig and her family enjoying a picnic and discover Pirate Island along the route. 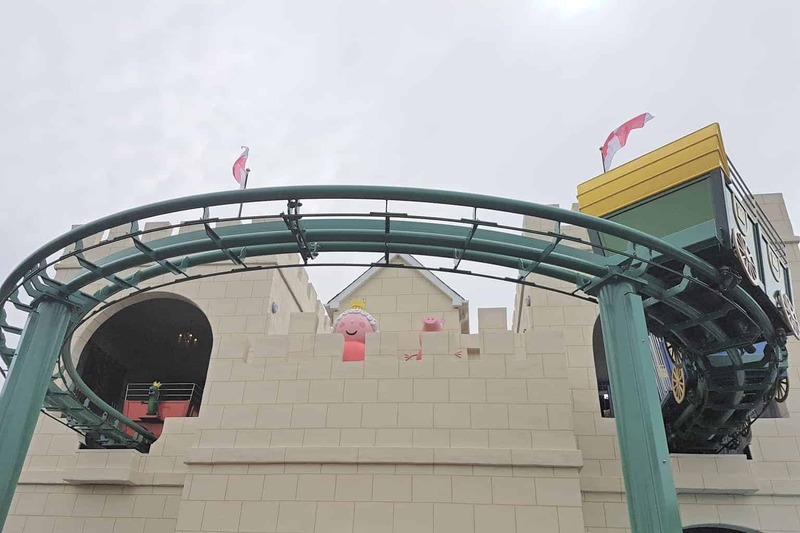 The two new rides are a great addition to Peppa Pig World and will be enjoyed by many fans of Peppa Pig across the season and beyond. 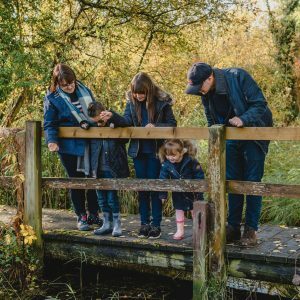 With a range of seating, litter bins and food outlets available within the area it makes somewhere families can really enjoy. 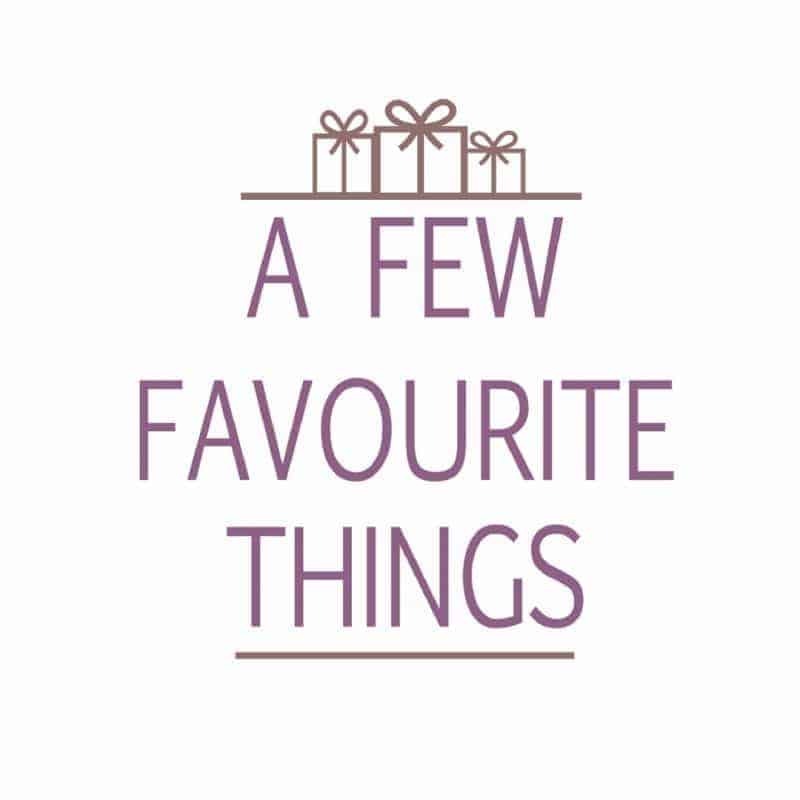 I do suggest making a list of all your favourite Peppa Pig characters to see whether you can spot them on during your visit. I was very pleased to see the addition of Gerald Giraffe, although the opportunity to meet the Queen is very special. We loved the new rides, they are a great addition to Peppa Pig World. We love Paultons Park and can’t wait to go back! What a beautiful looking park. The rides look like great fun for the whole family. We love reading about everyone else’s experiences on the preview day x we loved it and the new rides were awesome! This looks like a lovely place to spend the day! My kids would love it, they love everything Peppa! looks like you had a fab day and the two new rides are a great addition! We went in April but just missed the opening! So sorry we missed you – it was a great day out, wasn’t it. I’ve been reading a lot of fun things about the Peppa Pig World. I’m sure kids are so thrilled to know that the new rides are now in operation. What a cute park looks like you had a great day out! I always read good things about Peppa Pig World. Glad you enjoyed it. Looks like you had a WONDERFUL day! 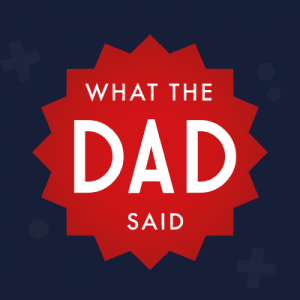 It was so much fun, wasn’t it?! Your little ones look so excited and happy to be there.